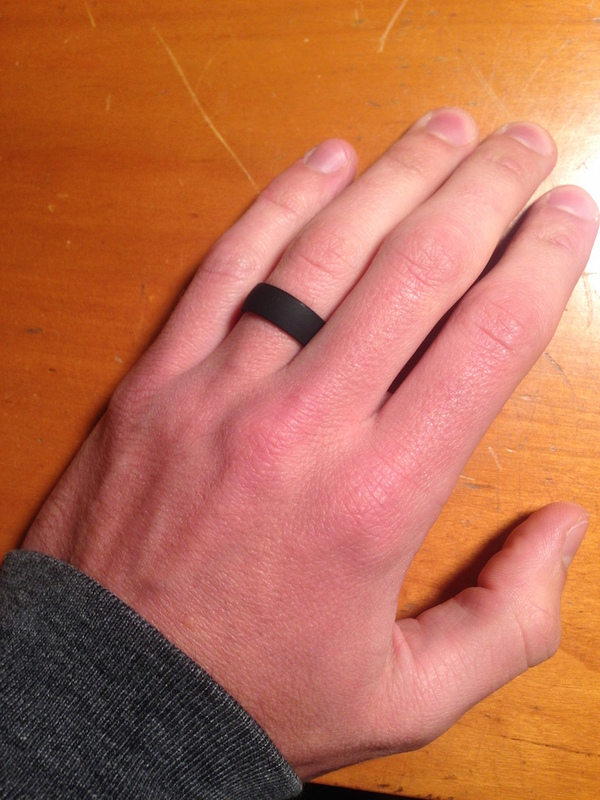 Because of all of those reasons, I end up taking my ring off a lot – more than once a day. That means I sometimes misplace it and more often than that forget to put it back on and end up going a while with no ring. 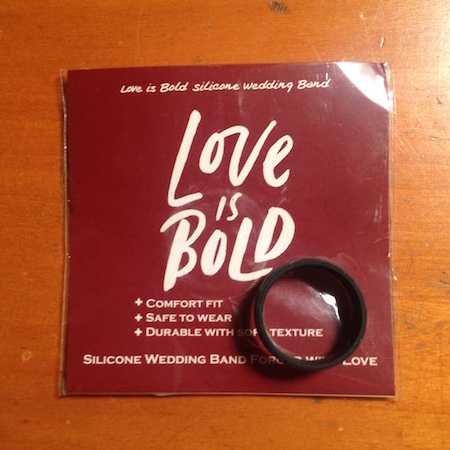 When I heard about these silicone wedding bands I thought I would give it a try. To give you some context, I was at the point where I was seriously considering a tattoo. Long story short, I’m sold – I am really happy with this product. In the last week I’ve used it for running, biking and left it on all of the time with no trouble. There is very little weight to it so I was perfectly fine having it on for all activities. The sizing is true, they only make full sizes which worried me since I am a half size. I ordered the next full size up and it works perfectly. It is comfortable to wear I didn’t notice any pinching at all. The width is perfect in my opinion and I really like the color. One thing I would raise is it does feel a little sticky on my other fingers just because of the texture of the material, sometimes I notice that but it doesn’t bother me a ton. The benefit is that is it doesn’t seem like it could ever slip off your finger, even when wet and cold like surfing, which is usually when I would worry most about my metal rings. I do wonder a bit about longevity. I don’t know how many years it will last before it snaps. I used to have one of those silicone LIVESTRONG bracelets and eventually, after a few years, it snapped off. I think the smaller diameter and more protected location (finger instead of wrist) could benefit it, but I would guess this will last 2-3 years, maybe 5, certainly not as long as a metal ring that can get passed down through generations. All of that said, if I have to get a new one every two years and the day to day is this much better, I’m ok with that – maybe next time I’ll order in bulk to get a discount. UPDATE: After two years of daily use my ring broke and I promptly ordered another one. At this rate the cost for a lifetime’s worth of rings will be ~$140 which is more expensive than some rings but much less expensive than any precious metals. As an added bonus, I did notice myself playing with it a lot less. I’ve gotten in the bad habit the last few years of taking off my ring and spinning it. I didn’t do that with this, but I did sometimes flip it over itself while still on my finger. A few people noticed I had something different on and asked about it, but most people didn’t notice I had switched to this ring, which is a success in my book. I’m not looking for attention in a wedding band, I just want something that I can keep on while living out my life. I haven’t had a chance to try any similar products, so I can’t say if this one is better or worse than others. Due to the simplicity, I think this is the sort of thing where most product are pretty similar – the color options, width, inside contour and price are really the main factors. Most brands had what I wanted for the first three but the price on the Love is Bold product was lower than some competing products so I would recommend this product. 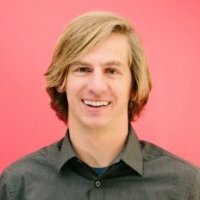 Ting Review (2019) - Five Years With Ting's Cell Phone Service! Love the post! I think it’s very innovative and will help a lot of people with the same struggle as yours. However I prefer wearing a wooden ring. If you don’t know how it looks you can check them out here http://www.weddingspell.com/2016/10/20/wooden-wedding-ring/ . I like wearing something unique just like you. I think it’s good to be different 🙂 Anyway, I just wanted to share my preferences.